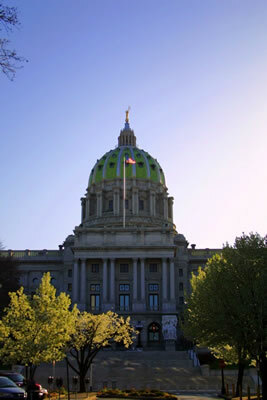 Who we are: We are a Pennsylvania Commercial Office Provider company located directly in downtown Harrisburg, the State Capital. Since we are located only blocks away from the PA Corporation Bureau, we can help you get your qualification or registration filing completed quickly and, if the filing is rejected for any reason, we can help you get it corrected and resubmitted fast. You will see that we work closely with Esquire Assist, Ltd. but we are distinct companies. Esquire Assist, Ltd. deals with attorneys, accountants and other legally related professionals. AAAgent Services, LLC deals directly with the general public and provides Registered Office and related services such as placing legal publications and form filing. Note: We do not provide any legal or accounting related counseling to the general public. All legal and/or accounting questions should be directed to your attorney or accountant as the case may be. For more terms and conditions, see our PA Commercial Registered Office Provider (CROP) page. To visit Esquire Assist, Ltd's web site, click the EA logo in the right-hand column. Download our Contract for Service PDF form by Clicking Here. Complete the form and fax/email it back to us to set up your account. Click on the "What Is a CROP?" menu item at the top for more information.